Welcome to Dark Naga Adventures: your source for fantasy role-playing game adventures. My name is Kevin Watson, and I am the founder and chief creator here at DNA. 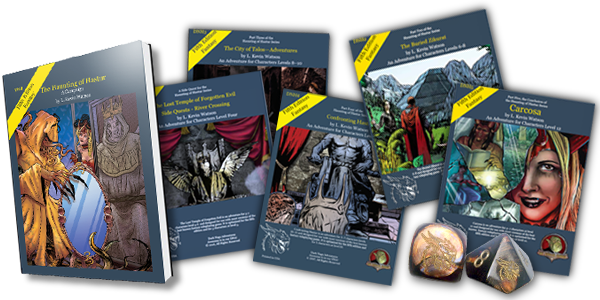 I’ve been a passionate player and dedicated dungeon master for Dungeons and Dragons and other fantasy role-playing games for over three decades and have recently begun releasing content through commercial avenues. In partnership with a network of equally-committed freelancers, I use my artistic expertise and passion for content creation to build high-quality games and adventures that even the most discerning players have thoroughly enjoyed. Explore this site for more information on all that Dark Naga Adventures has to offer, and please reach out with your questions and comments. Posted on 3/1/2019 by Kevin Watson. In this section, you’ll find information and news about game updates, recent releases, and projects in the works. Read on for a list of bulletins, reach out directly to learn more. Copyright 2016-2019 Dark Naga Adventures. All rights reserved. Website design by Justin Andrew Mason.